Elan, imagination and passionate engagement: The great Spanish tenor brings it all to his exemplary performance of Encanto del mar, the cycle of Mediterranean songs on this 2014 disc from Sony Masterworks. Mr. Domingo’s enunciation of the lyrics of “Estate” (by Bruno Brighetti) in response to Bruno Martino’s music has crystal clarity and his singing runs the full gamut from the aching lyricism of “Aranjuez” to the elated peroration of “Layla, Layla”. Moreover Mr. Domingo’s performance is blest as much with intuition as it is with reason. You will be left breathless by the beauty of tone and the richness of texture especially on the a capella “Anghjulina”, which produces a full sound and contains some fine soloists. Elsewhere, especially on “Torna a Surriento” the singing is breathtaking and graceful as the melody is made to float and weave with clarity, precision and feeling. Mr. Domingo is joined in for this adventure, by other singers with superlative pipes that propel voices into a rarefied realm with glorious embellishments and deeply affecting artistry. The accompaniments are immaculate, especially in the strings department, where performers show particularly clean pairs of fingers in their dashing virtuosity—“Non potho reposare”, where the guitarist and bassist are absolutely exquisite. The Mediterranean—and Moorish ones of North Africa, or southern Spain, depending on where you are positioned—settings are acutely sensitive of word and situation and the lyrics are through-executed in operatic fashion, complete with characteristic melismas, meaningful, dictating structure and most vaunted leaps. This song cycle surely deserves the widening exposure of a classical recital. Mr. Domingo’s energising precision is infectious, all through the recording he is served by a fine team of vocalists, instrumentalists including soloists especially the silvery-voiced Barbara Fortuna. 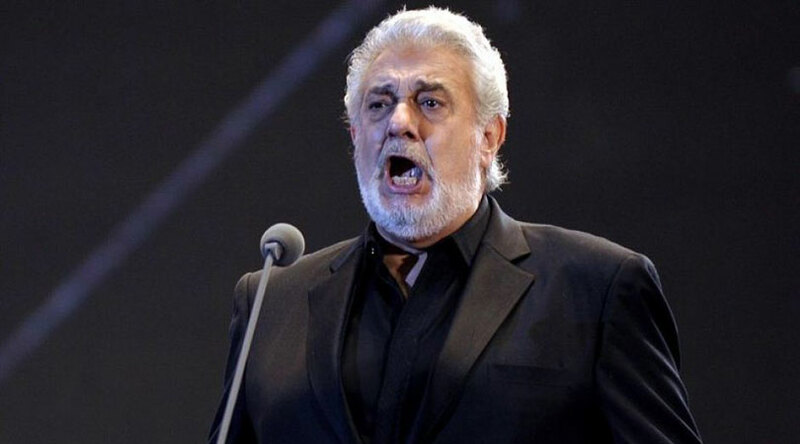 In song after song Mr. Domingo is glorious as the songs’ words are weighed and measured in that instantly recognisable clear and focused tenor. And while his singing is deeply expressive Mr. Domingo is far too intelligent a musician ever to be for a moment self-indulgent. This makes us listen to songs such as “Estate” and “Layla, Layla” with refreshed ears. Mr. Domingo also excels at incarnating this carefully chosen repertoire with dramatic tension. I would be remiss if I did not suggest that listening to these fifteen songs is like being at an opera composed of delightful vignettes, without the full complement of the orchestra, of course, but with a marvellously rehearsed ensemble nevertheless. Indeed I would go further and insist on the clear superiority of many recordings of popular songs by operatic tenors, except perhaps Luciano Pavarotti’s celebrated ones. There is so much invention here that I have a rather abiding love for these songs, some of which many of us have heard in church and at soirées and at worshipful gatherings such as those during high seasons in church. Another wonderful aspect of the recording is, again, the advantage that Plácido Domingo has with languages and he sounds native in each one of those in which the songs have been sung. 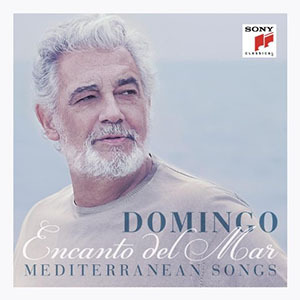 Track List: Mediterráneo; Estate; En Méditerranée; Aranjuez; Anghjulina; Torna a Surriento; Non potho reposare; Lamma bada; Adio kerida; To Yasemi; Reginella; Layla, Layla; El Cant dels ocells; Del cabello más sutil; Plaisir d’amour. Great review. Would you be kind enough to complete the list of performers with Producer Robert Sadin and Saxophonist/arranger Yacine Boulares. This would be much appreciated.